Draft: 2003, Chicago Cubs, 10th rd. 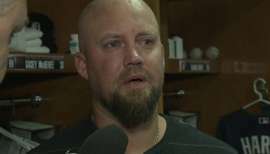 November 3, 2016 3B Casey McGehee elected free agency. 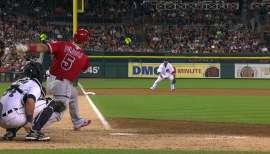 September 6, 2016 Detroit Tigers recalled 3B Casey McGehee from Toledo Mud Hens. August 30, 2016 Detroit Tigers optioned 3B Casey McGehee to Toledo Mud Hens. August 7, 2016 Detroit Tigers recalled Casey McGehee from Toledo Mud Hens. 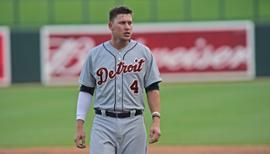 June 21, 2016 Detroit Tigers optioned 3B Casey McGehee to Toledo Mud Hens. June 20, 2016 Detroit Tigers designated 3B Casey McGehee for assignment. 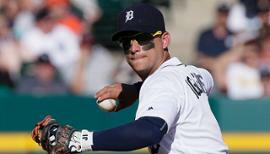 June 18, 2016 Detroit Tigers selected the contract of 3B Casey McGehee from Toledo Mud Hens. 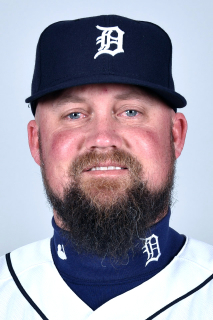 June 18, 2016 3B Casey McGehee assigned to Detroit Tigers. April 6, 2016 3B Casey McGehee assigned to Toledo Mud Hens. March 30, 2016 Detroit Tigers signed free agent 3B Casey McGehee to a minor league contract. March 28, 2016 Detroit Tigers released 3B Casey McGehee. February 23, 2016 Detroit Tigers signed free agent 3B Casey McGehee to a minor league contract and invited him to spring training. February 23, 2016 3B Casey McGehee assigned to Toledo Mud Hens. November 2, 2015 3B Casey McGehee elected free agency. July 10, 2015 Miami Marlins signed free agent 3B Casey McGehee. July 8, 2015 San Francisco Giants released 3B Casey McGehee. June 30, 2015 San Francisco Giants designated 3B Casey McGehee for assignment. June 5, 2015 San Francisco Giants recalled 3B Casey McGehee from Sacramento River Cats. May 26, 2015 San Francisco Giants optioned 3B Casey McGehee to Sacramento River Cats. May 24, 2015 San Francisco Giants designated Casey McGehee for assignment. December 18, 2013 Miami Marlins signed free agent 3B Casey McGehee. October 30, 2012 1B Casey McGehee elected free agency. October 19, 2012 New York Yankees activated 1B Casey McGehee. September 4, 2012 New York Yankees recalled Casey McGehee from Charleston RiverDogs. August 28, 2012 New York Yankees optioned Casey McGehee to Charleston RiverDogs. August 1, 2012 Casey McGehee roster status changed by New York Yankees. July 31, 2012 New York Yankees traded RHP Chad Qualls to Pittsburgh Pirates for 1B Casey McGehee. December 13, 2011 Milwaukee Brewers traded 1B Casey McGehee to Pittsburgh Pirates for RHP Jose Veras.